Lake condos in Branson are some of the most chosen accommodations at Thousand Hills Golf Resort where you are assured of enjoying a luxurious, and comfortable living without spending much of your vacation dollars. These accommodations are beautifully located in the heart of Branson where you can have easy access to world-class entertainment shows, exciting attractions, and great shopping and dining opportunities. The lake condos are also near the Moonshine Beach and State Park Marina where you can always have the opportunity to enjoy the most refreshing summer experience. 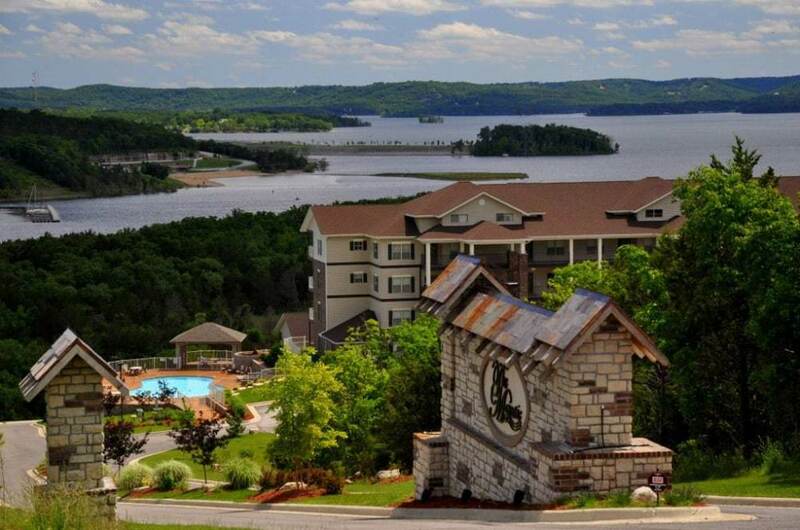 When you stay at the lake condo in Branson, you can feel the luxury without spending too much money as you will find it easy to enjoy exciting activities such as biking, hiking, or stroll at the nearby paved path of the Dewey Short Visitor’s Center. The beautiful location of the lake condos around the beautiful Table Rock Lake is perfect for water sports enthusiasts who want to spend great water activities such as boating, fishing, swimming, and other water sports adventures. With the convenient location of your condo accommodation near the lake, you will surely enjoy never-ending fun as Table Rock Lake features many resorts and marinas that offer many water sports activities and other water sports adventures. There are over 100 resorts at Table Rock Lake to choose from that are ideal for families who want to have a wonderful summer vacation in Branson. The Branson side of the lake is the most preferred spot for visitors to stay as they can have easy access to world-class live entertainment shows and other exciting attractions. The resorts and marinas that can be easily accessed from your lake condo accommodation feature dozens of restaurants that offer things needed by the boaters. Many of the restaurants serve delightful treats. You can grab some ready to eat food and other things you need for your boating adventure. The Kimberling City that is also located at Table Rock Lake also features marinas that have restaurants that offer fine dining. These restaurants provide delectable treats from casual to home favorites and offer great shows in the evening during weekends. After you have enjoyed many exciting water sports activities at Table Rock Lake, you may like to get onboard the Spirit of America, a 48 ft. the sailing catamaran that sets sail to the pristine waters of the lake. The catamaran offers a sailing cruise, a Water World Adventure Cruise, and a Sunset Celebration Cruise. Whatever kind of lake adventure you choose, you’re sure to enjoy a great time with the catamaran as it offers many different types of water activities. The catamaran brings many different kinds of water toys/activities such as kayaks, a blob, a water trampoline, and a 20+ ft — inflatable water slide. 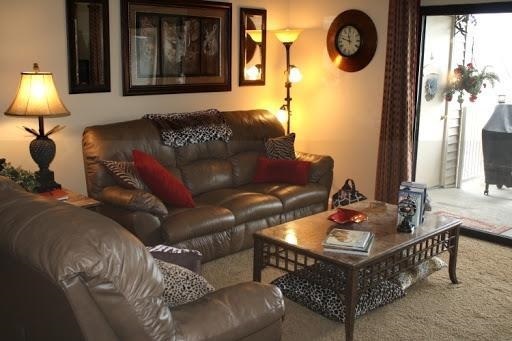 All lake condos in Branson are beautifully designed with unique decors and modern amenities. Each condo features free internet access, cable TV with HBO, and a DVD player. The living area features a sofa sleeper that gives a comfortable stay to the extra guest. The kitchen is fully furnished with modern appliances such as fridge, microwave oven, dishwashers, pots and pans, dishes, kitchen wares, and utensils. With these great amenities, there’s nothing to worry if you get back home hungry as you will find it easy to cook food. Staying at the beautiful lake condo at Thousand Hills Golf Resort is a great way to experience your vacation in Branson as you will be given discounts and special offers so you can feel the luxury without spending too much money. Aside from the discounts and special offers that you can enjoy on rooms, show tickets, and restaurants, the resort also offers Branson Platinum Experience giving you over $750 in gifts. These vacation packages are offered to all qualifying reservations. The longer you stay, the more you can save on your vacation at Thousand Hills Golf Resort. The vacation packages offered by the resort for lodging and ticket discounts allow you to visit vacation spots in Branson without spending much. You can choose from one of the vacation packages or customize your vacation just for you with the help of the concierge. Your vacation in Branson will be more fun and exciting knowing that your vacation is taken care at any of the condo or cabin accommodation so you can visit many vacation spots as much as you like. When you stay at any of the accommodation at Thousand Hills Golf Resort, you will get Package #1 that offers a thrilling ride with Giant Swing at Silver Dollar City and Two Night Stay in a furnished 2-bedroom luxury condo at the resort. The condo with two bedrooms, two bathrooms has a fully furnished kitchen and living area. With the convenient location of the condo near the heart of Branson, you’re just a few minutes away from any show and in the Branson area. The package also includes Two Adult Silver Dollar City Tickets for two days pass. With the pass, you’ll get the chance to visit Silver Dollar City theme park where you will see 1880’s craft village that features an array of craft items, and great rides. Package #2 allows you to qualify for the Platinum Experience Package. This includes Two Night Stay in a fully furnished One Bedroom Log Cabin at the Grand Mountain. These one bedroom cabins include a two-person Jacuzzi tub, fully furnished kitchen, living area, and fireplace. These log cabins offer guests a romantic stay in a rustic wooded setting that is centrally located in Branson and only minutes away from entertainment shows and exciting attractions. Package #3 includes Two Nights Stay in a Two Bedroom Condo with a view of the pristine lake. The condo features a King bed, spacious living area, and a fully furnished kitchen. Package #4 includes Two Night Stay in a fully furnished two bedroom luxury condo and a weekend golf trip to the most popular and award-winning golf course in Branson. Thousand Hills Golf Resort is a great place to enjoy a wonderful vacation in Branson as they have special offers and vacation packages to let you feel the luxury without spending too much money.